RRS London was sentenced at Westminster Magistrates’ Court over the accident in Erith, south-east London, on 27 March 2017. 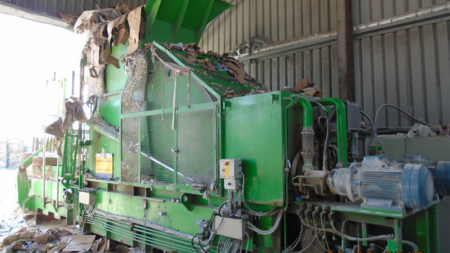 The Health and Safety Executive’s (HSE) investigation found it was “most likely” the worker fell down the baling machine’s hopper and into the compactor chamber while clearing material that had blocked the hopper. “Falling into the chamber initiated the compaction sequence,” it said. RRS had failed to adopt a safe system of work and employees routinely climbed the baler to remove blockages. The HSE said workers were exposed to the risk of falling from height, either into the compactor chamber or on to the concrete floor. The company was found guilty of breaching s 2(1) of the Health and Safety at Work Act and must pay £6,640 costs. HSE inspector Nicholas Wright said: “This tragic incident, which led to the avoidable death of a father, was easily preventable and the risk should have been identified."